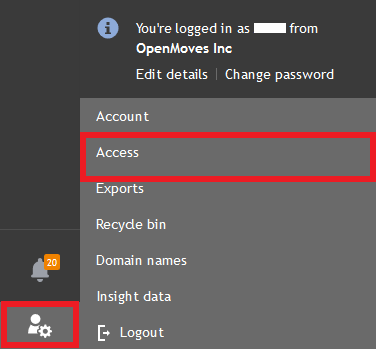 Below are the instructions to locate and set up your OpenMoves API key to complete your integration. Click the settings button on the bottom left corner of your screen and select "Access". Click the "API Users Tab, and then select "New user". 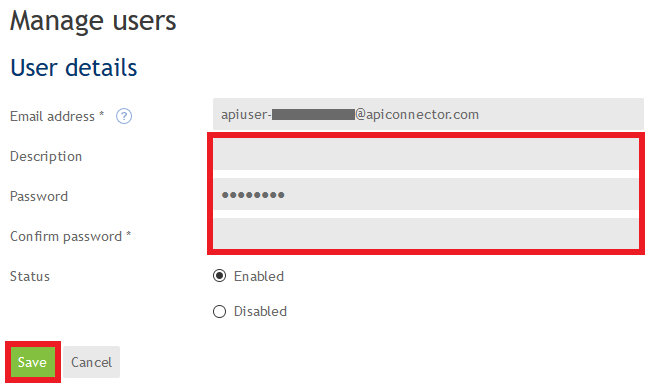 On the Manage users screen fill out the password and description field and click save. Make note of your API key. You will need this to complete your registration. Email Address: This is your API key. Description: This field is optional and only used to help you recognize what the API key for. Password: Please enter a password and confirm it. This password is necessary for using your API key. Status: This is set to enabled by default. It must remain enabled for your PipeDrive Integration to work. Return to the integration setup screen. Enter your API key and password into the form and click "Submit".